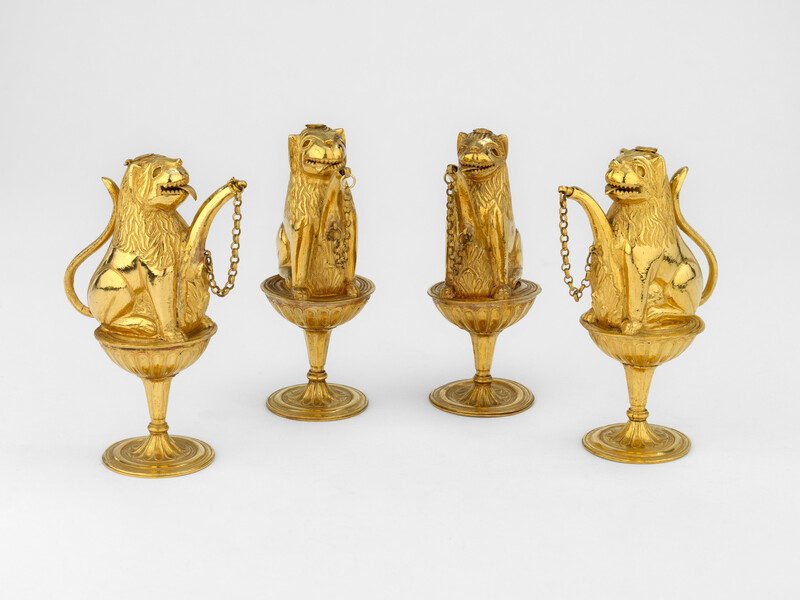 Set of four gold perfume holders in the form of seated lions holding a projecting spout between their forelegs, with chain and stopper attached. Each lion has a curled tail, articulated tongue and hinged cover on top of its head. Perfume was offered within the Indian court to welcome visitors. This container is designed to store attar, a botanical perfume obtained from botanical sources.